LOS ANGELES & WEST CONSHOHOCKEN, Pa. & TORONTO--(BUSINESS WIRE)--AEG Facilities, the venue management subsidiary of AEG, and SMG, an Onex (TSX: ONEX) portfolio company, today announced they have signed a definitive agreement to merge. This combination will create a new, standalone global facility management and venue services company that will operate as ASM Global (“ASM”). Onex and AEG’s subsidiary will each own 50% of the company following the completion of the transaction. The terms of the transaction were not disclosed. 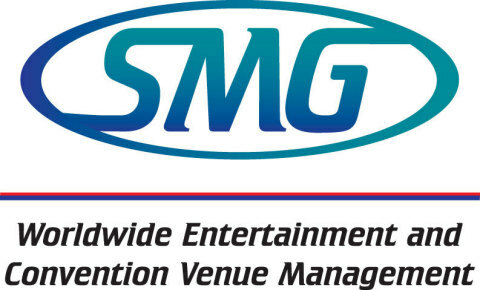 Founded in 1977, SMG provides management services to more than 240 public assembly facilities including convention and exhibition centers, arenas, stadiums, theatres, performing arts centers, equestrian facilities and a variety of other venues. With facilities across the globe, SMG manages more than 20 million square feet of exhibition space and over 1.6 million sports and entertainment seats. SMG provides venue management, sales, marketing, event booking and programming, construction and design consulting, and pre-opening services. SMG Europe manages entertainment venues and food and beverage operations at locations throughout Europe, including in the United Kingdom, Germany, and Poland. For more information visit www.smgworld.com or www.smg-europe.com. AEG Facilities is a subsidiary of AEG, a leading sports and live entertainment company. AEG Facilities operates some of the industry’s preeminent venues worldwide, across five continents, providing complete venue management, as well as specialized programs in operations, guest services, ticketing, booking, sales and marketing. AEG Facilities also provides its clients resources and access to other AEG-affiliated entities, including AEG Presents, one of the largest live music companies in the world, AEG Global Partnerships and AEG Real Estate, as well as such programs as AEG 1Earth and AEG Encore to support the success of its venues across the globe. For more information, please visit www.aegworldwide.com. Onex is one of the oldest and most successful private equity firms. Through its Onex Partners and ONCAP private equity funds, Onex acquires and builds high-quality businesses in partnership with talented management teams. At Onex Credit, Onex manages and invests in leveraged loans, collateralized loan obligations and other credit securities. Onex has more than $33 billion of assets under management, including $6.9 billion of Onex proprietary capital, in private equity and credit securities. With offices in Toronto, New York, New Jersey and London, Onex and the team are collectively the largest investors across Onex’ platforms. Onex’ businesses have assets of $52 billion, generate annual revenues of $32 billion and employ approximately 218,000 people worldwide. Onex shares trade on the Toronto Stock Exchange under the stock symbol ONEX. For more information on Onex, visit its website at www.onex.com. Onex’ security filings can also be accessed at www.sedar.com. Headquartered in Los Angeles, California, AEG is a leading sports and live entertainment company. With offices on five continents, AEG operates in the following business segments: AEG Facilities, which manages or consults with preeminent arenas, stadiums and convention centers around the world; AEG Presents, which is dedicated to all aspects of live contemporary music performances, including producing and promoting global and regional concert tours, music and special events and world-renowned festivals; AEG Real Estate, which develops world-class venues, as well as major sports and entertainment districts like STAPLES Center and L.A. LIVE; AEG Sports, which is the world's largest operator of sports franchises and high-profile sporting events; and AEG Global Partnerships, which oversees worldwide sales and servicing of sponsorships including naming rights, premium seating and other strategic partnerships. Through its worldwide network of venues, portfolio of powerful sports and music brands and its integrated entertainment districts, AEG entertains more than 100 million guests annually. More information about AEG can be found at www.aegworldwide.com.